Visted the Lasalle Show 2013 Exhibition on Thursday. 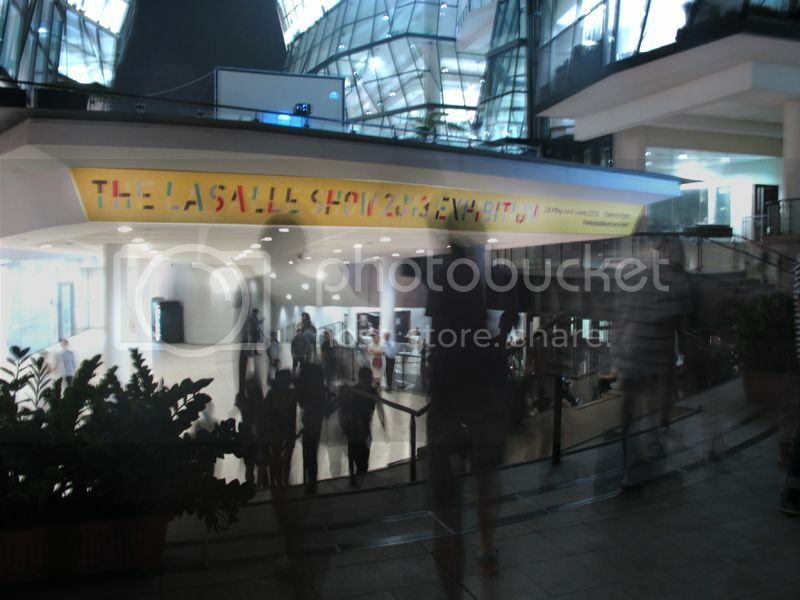 As usual, the Lasalle graduation show is always brings in the crowds and the event was made very extravagant on the opening night! with confetti and all. 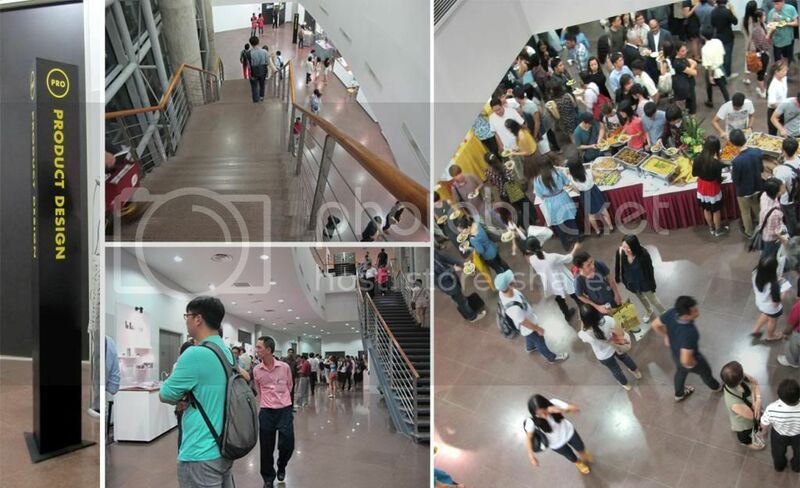 As the event was held at Lasalle school, the exhibition space was widely spread out and easier to walk around to view different departments! As you can see, the crowd does not look as packed as the previous 2 graduation show we been to. 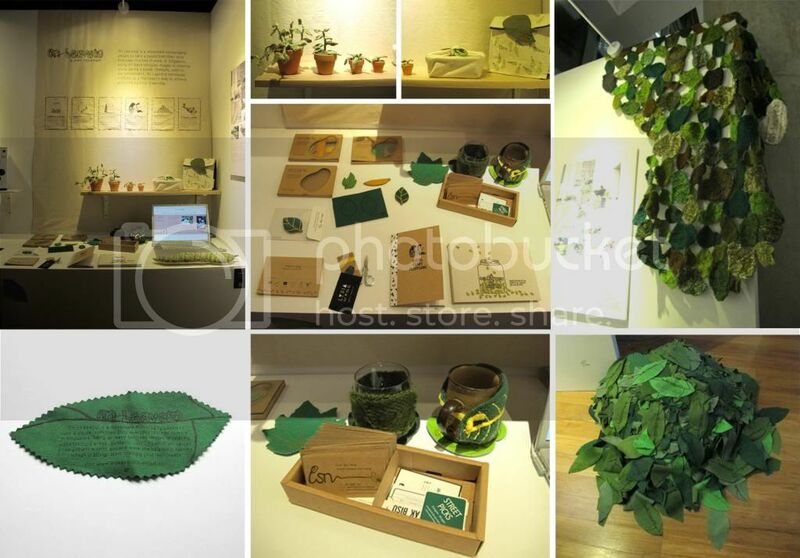 We started with an area we are more familiar with first which is the Interior and product design exhibition. 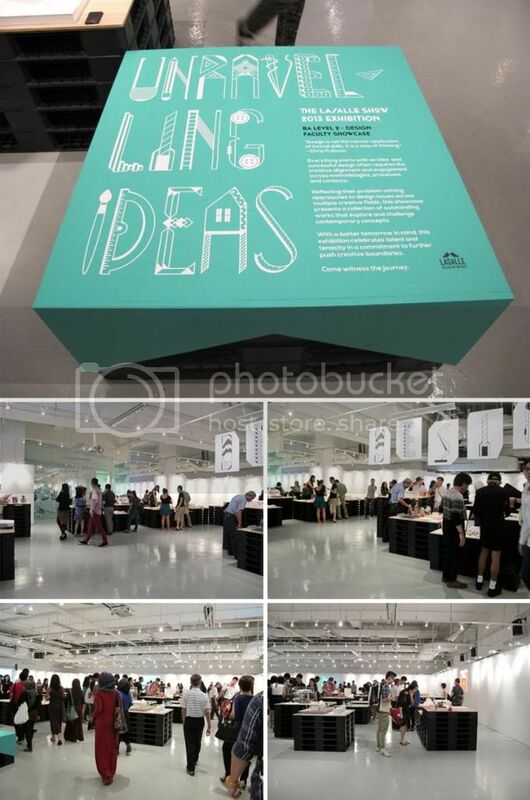 the signage for the Design word was really well designed, it was very drawn using tools that designers would use to create their design. 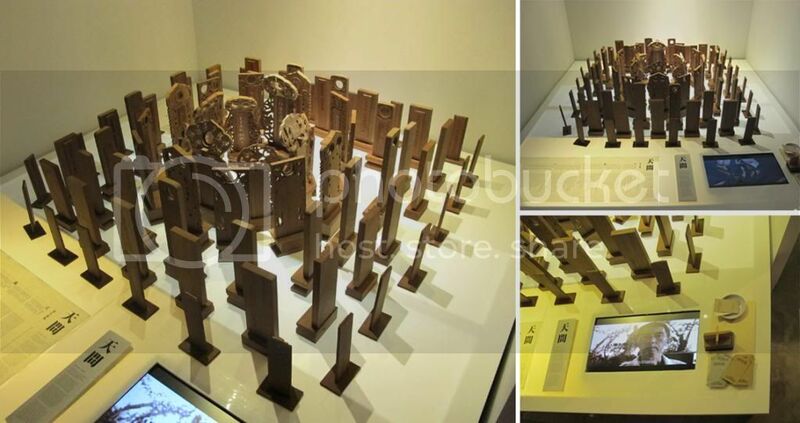 Walking around the exhibition, we realize that what they used to put the works on, was very familiar. 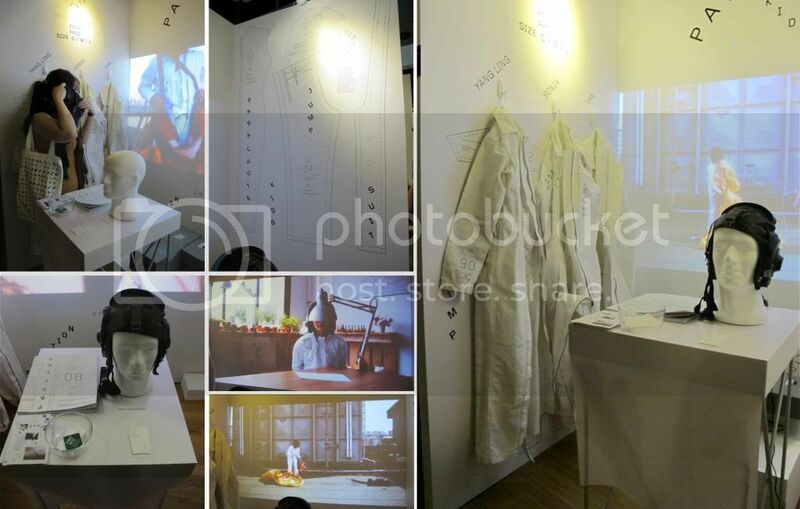 It was similar to how we used to design our graduation show last year! only they are using plastic crates instead. *Note: We are not saying that they copied the way our graduation show was done. it was just a familiar sight. Check out how interesting this idea is! 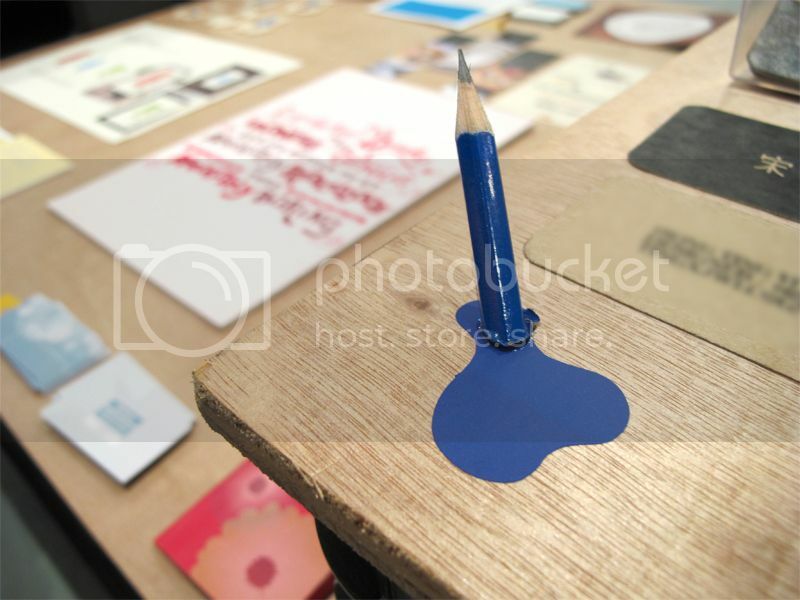 "a melted puddle of pencil" was a really cute idea. One thing about Lasalle works, their product finishing is FANTASTIC! was super impressed with how well their finishing was for all the products. 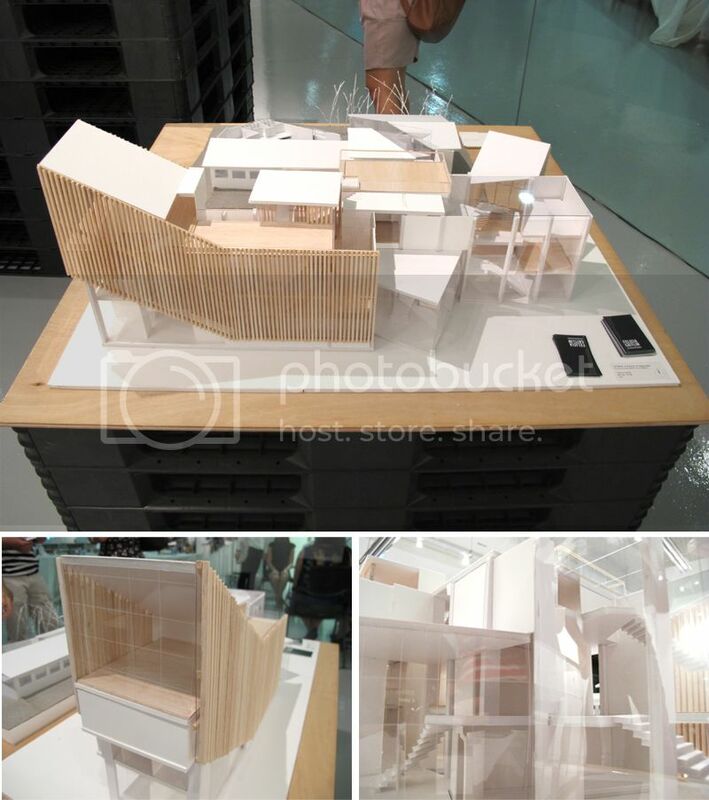 Saw this model house, that we really liked. if we could build our own house, we would probably want it too look like this! the design was very current, as there are more houses being designed now to be very opened and have a wide space. This next work, was just questionable. 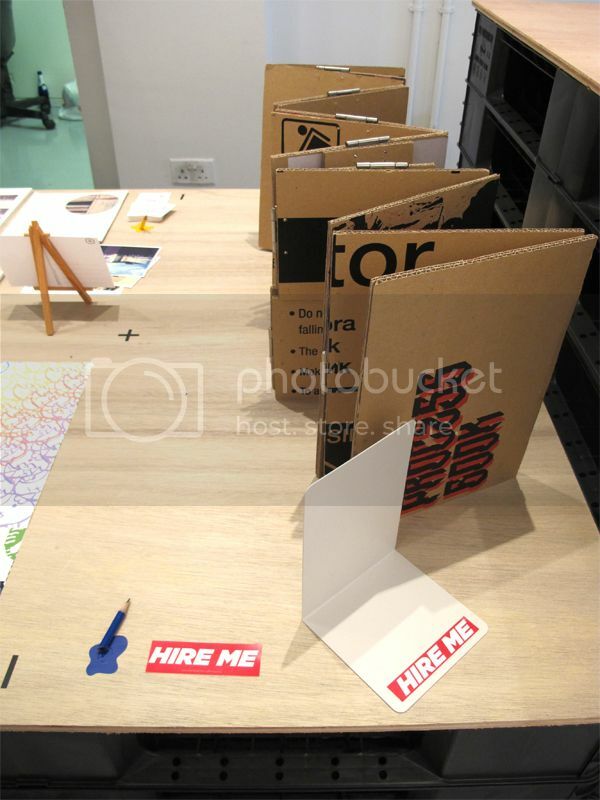 How do you get someone to hire you when there was no name cards or any contact details? 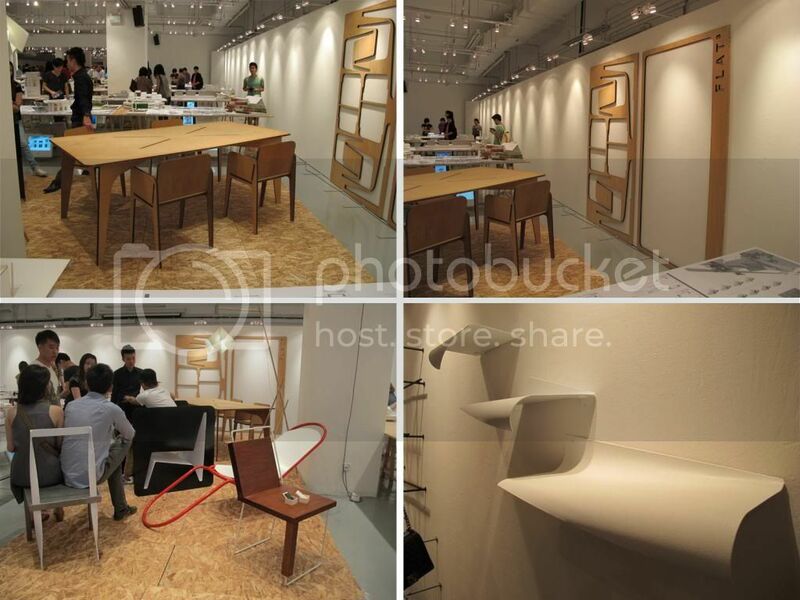 Found the furniture design exhibition, it was not a very big exhibition, and we must say, it was not very impressive. we saw works that were from a few years back that was shown at FDAs. See how detailed the Lasalle students are in their work? they even have mini human figures in their interior space. Once again, totally amazed by how well done their models are for their products. The following 3 products are ones that really caught our attention! 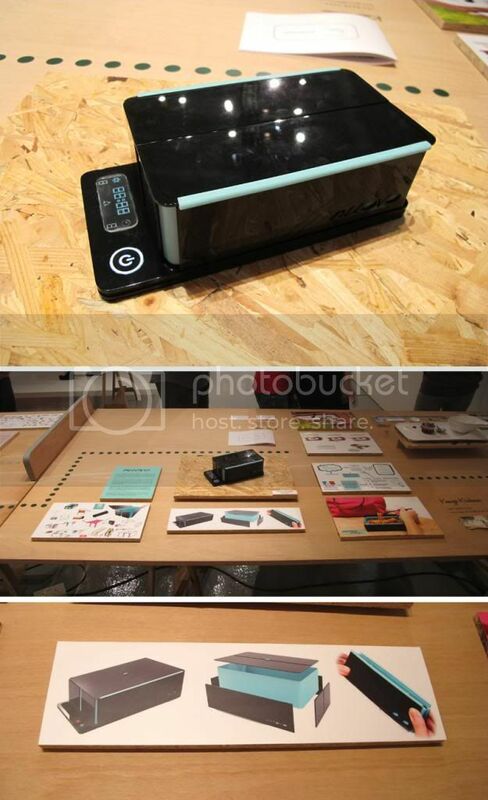 Nuovo, a portable bento box that is able to be flatten and fit into most bags. Made out of food grade silicone and plastics, its recyclable yet durable. This box is able to be placed into the microwave and a dishwasher just like any other Tupperware or bento boxes. Whats not to like about this product? we would want this product to carry to work as normal bento boxes just aren't as compact or collapsible as this one! Stoodon, a travel cleaner is just what everyone needs! a design that people would actually use it in a third world country or an area where they do not get easy access to water. This product would help wash clothes as well as help save water and this would make it easier for older people, as they would not need to bend so much to wash their clothes. 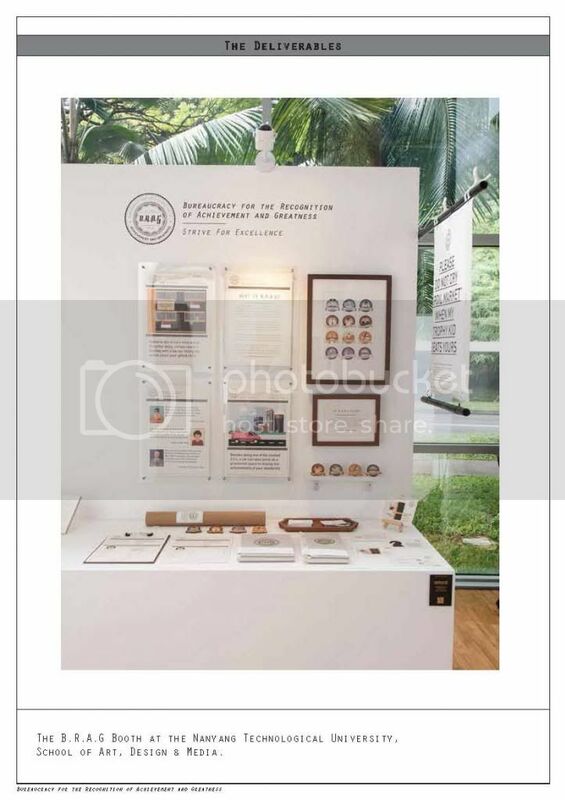 Further down the aisle were works from the Design and Media department degree program, as mentioned before the quality of their work were brilliantly crafted. Kudos to every single one of them. Here below are a few that you should really take note of, if you guys are going to the show. Word play using different shapes, angles and colors. 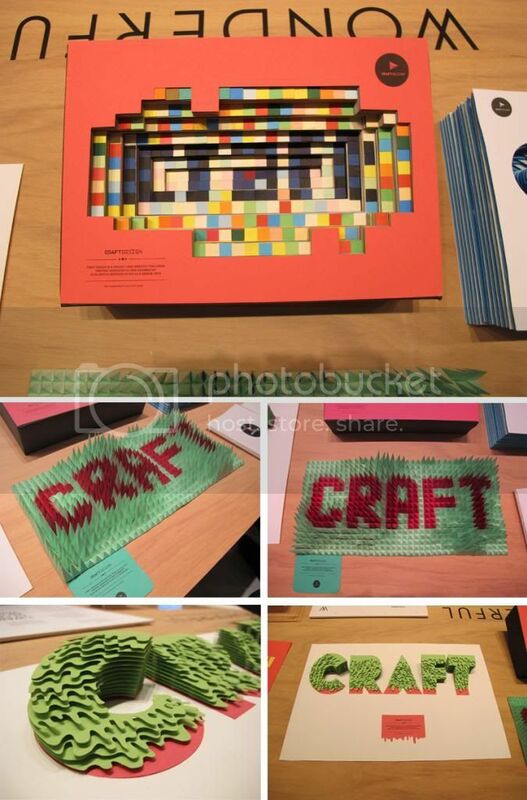 all showing the word Craft. showing the audience that shapes and layers can make a word look different from every angle. The one above was done by Donna Fonx, it is about teaching kids english through story and video animation. Personally we quite like it because firstly, it allowed the kids to be better in the command in English and also empowered their sense of creativity. Combined with brightly colored and friendly graphics, it make the series very absorbing and interesting to read. 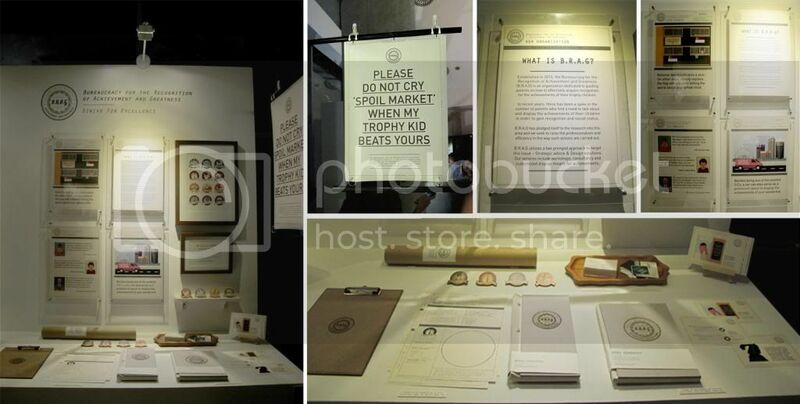 The designer herself was like her work, approachable and energetic. Her storyboard and her processes. The one above explored into the department of materials, on the right, were samples of material that had researched and come out with. To protect our environment is not just down to the job of the scientists, but everyone. 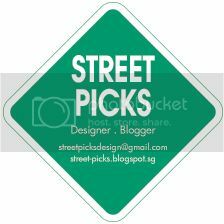 Using the power of media, sharing the knowledges of the need of being Eco-friendly, being a designer is not about decorating or polishing item to makes it look better but, also at the same time solving problems or addressing issues. A new way of work presentation? making them look like they are on those kind of newspaper racks where people can just take one to read before placing it back. 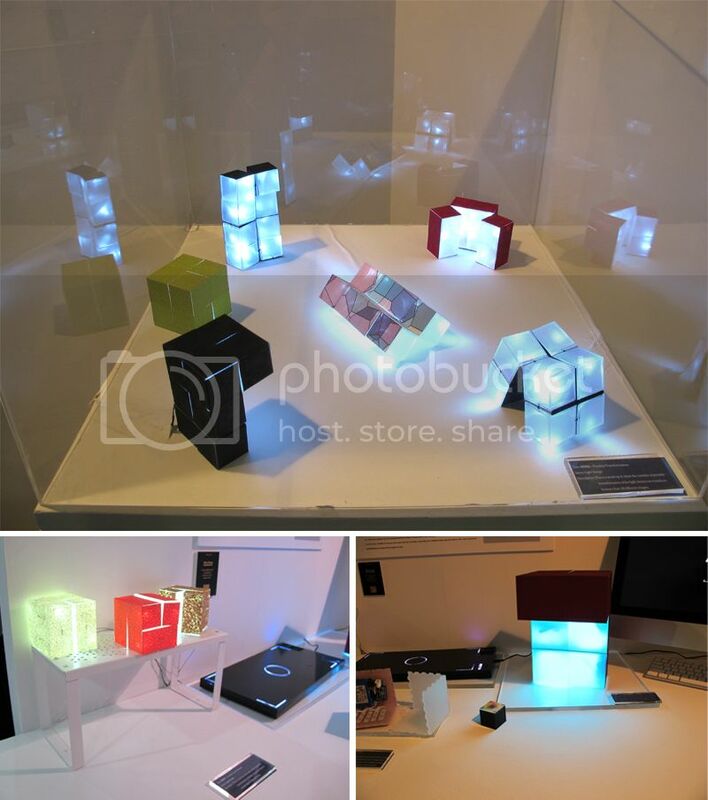 Tushaara Paul Vadekkel, did a a kit consisting of a series of 8 artefacts on tackling color blindness. She arrived at taking up this issue, because of her cousin who has colour blindness. Further research brought light upon the colour blind community's inability to successfully interpret the design of many things in their surroundings. That inspired her to touch on this topic. 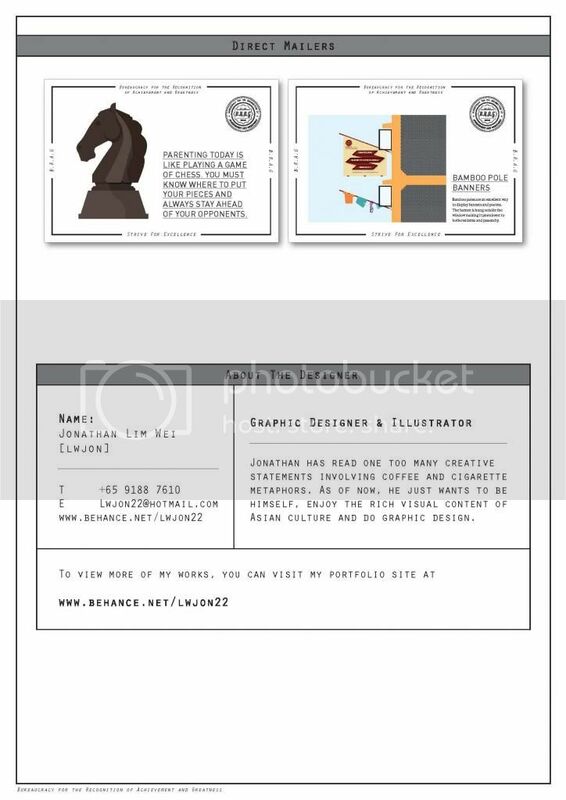 The kit even consist of the software to help designers to allow their designs to overcoming this problem. Further, allowing people who have color blindness to understand the message intended by each design. Cool advertisement poster that show the product the designer was trying to show the audience. Ninja turtle turned into apples? Firstly, even though the each department had their own area for the exhibition, we still had trouble navigating our way around the show, as there weren't much information going around to let us know whether if this is under the product design, interior design or graphic design over at the diploma side. So we had some problem transiting from one to the next. Likewise, the designers weren't at their booth to talk to or introduced about their works. It felt as though it was the last day of their graduation show. Over at the degree side were much better, a couple of them talking and introducing their works patiently to those that stop by their booth. But what really amazed us during the show were the craftsmanship of their works, The models were all done up nicely. Nice finishing, clean lines and great sanding. Lastly, we would also like to congratulate them on graduating. Great works, guys! Kudos to you all. 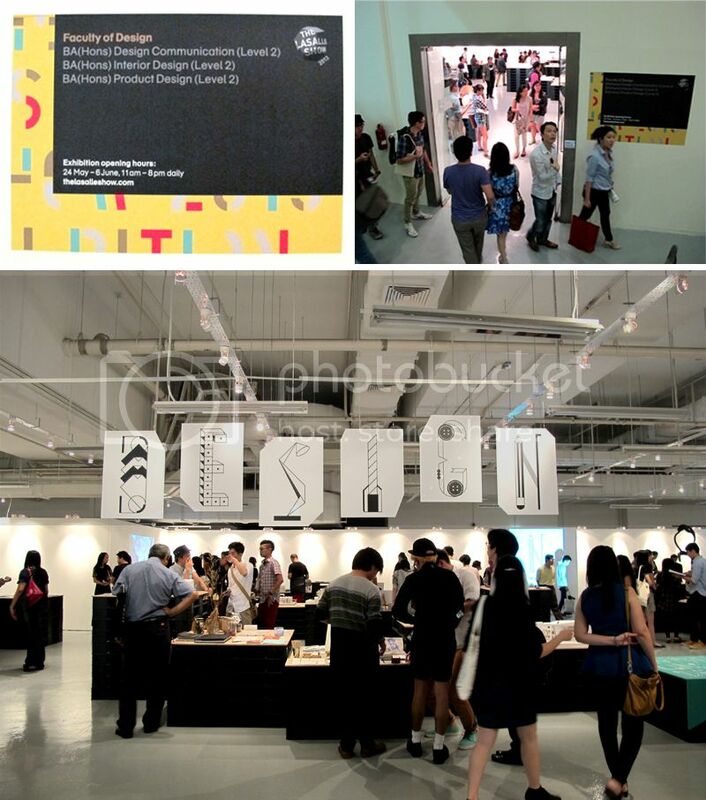 If you guys want to check the grad show out, you can still do so from now till the 6th of June, from 11am to 8pm daily! 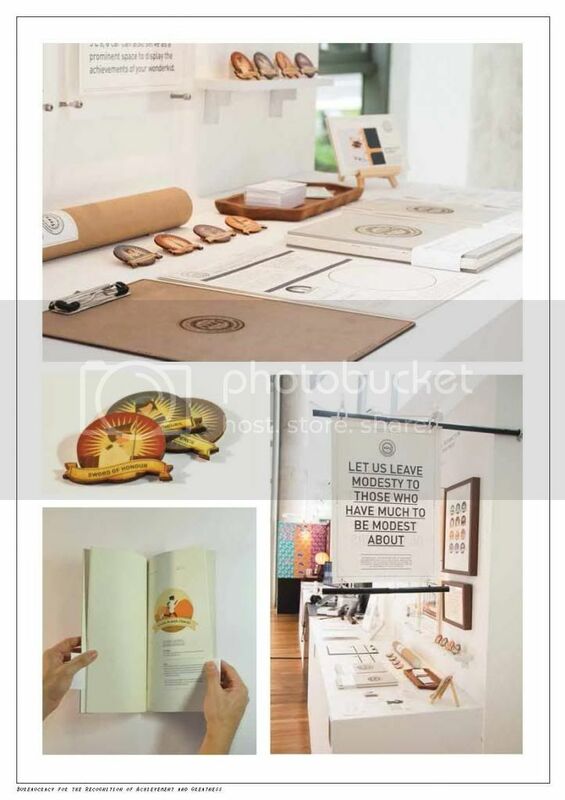 This was sent to us by Jonathan Lim, of NTU student from their recent graduation show (ADM) on our previous post. 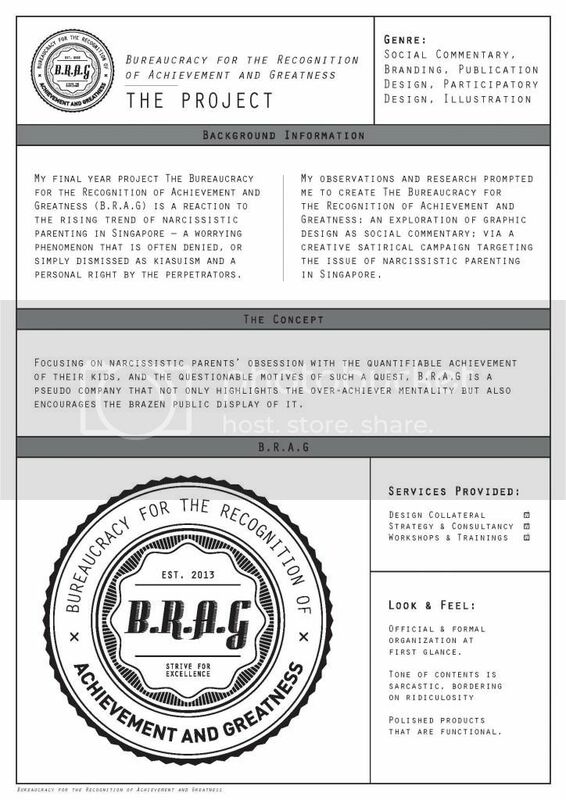 It contained the idea of his FYP work title (B.R.A.G). Feel free to have a look and drop us comments. 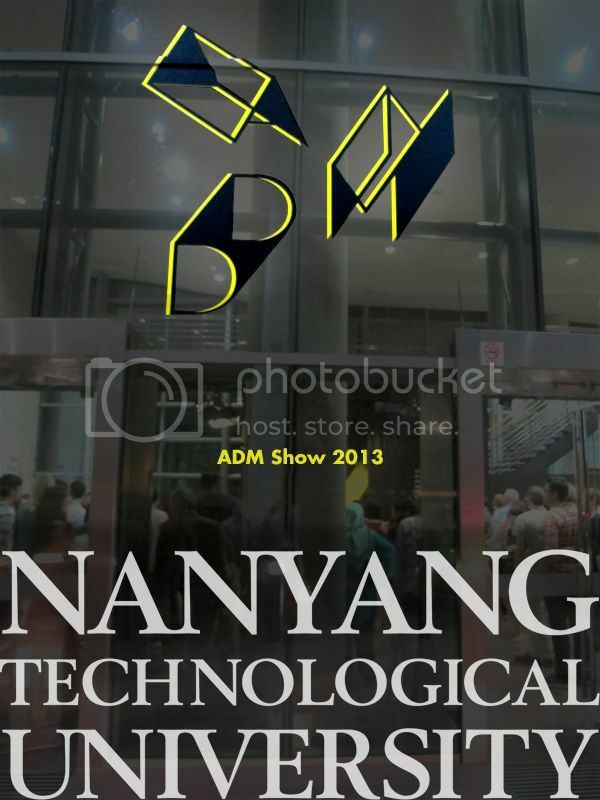 This weekend, we visited the NTU ADM Show 2013! This is the 2nd graduation show that we went to since starting this blog, and it was definitely different from a polytechnic graduation show and a university graduation show. 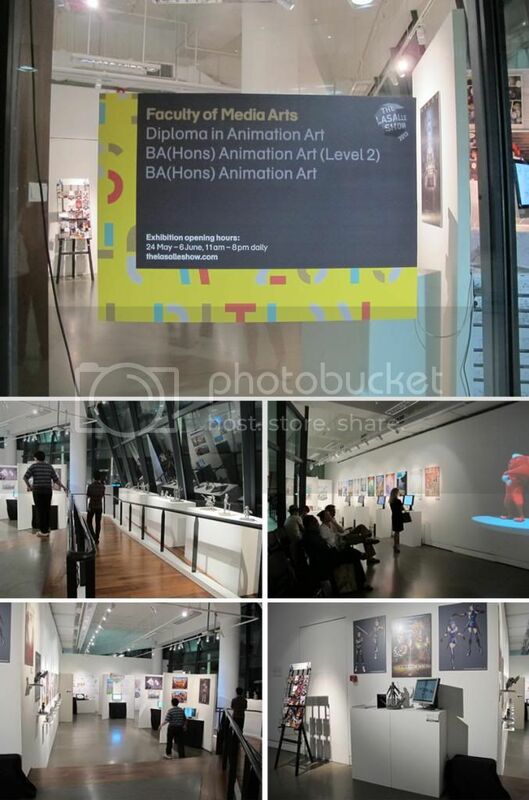 Yesterday was the opening and it running though till the 19th of May, try and make your way down if possible! Do not be deceived by the these 2 images that made it look very empty. The place was so PACKED! it was hard to move around, even tougher to take pictures. So if you guys are interested in their works or to see in more depth of the student works, please feel free to drop by their school to check out the exhibition. 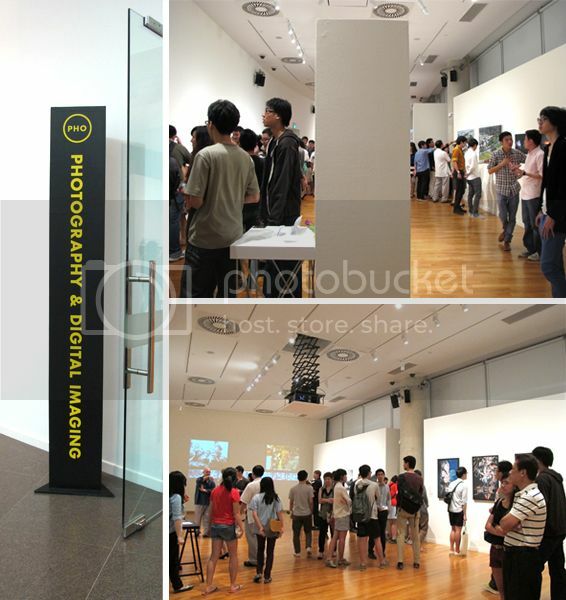 Firstly, we went to the photography & digital exhibit. Walking around the exhibit, we felt various feelings such as happiness, weirdness, and confusion. But overall, the images were very well done and interesting. It touched on topics that we all are very familiar with, such as death, our cultures and heritages and social issues. 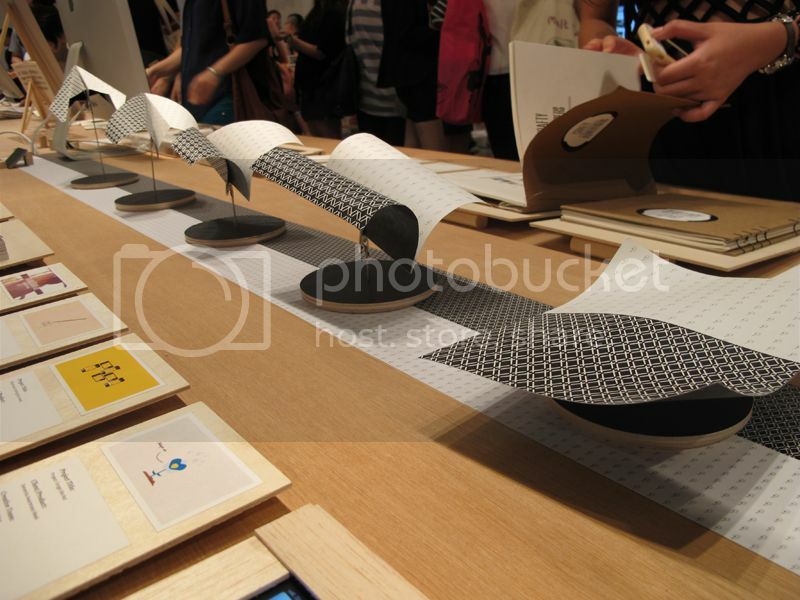 Heading over to Visual communication, well, it so crowded that we had to squeeze through sea of people, we did not manage to take a good look or stop to read their works, but here are some image of the booths at the less crowded area. There was this one booth, that we all liked, was the confessions of the strawberries! the illustration was really cute and it really draws the attention to the viewers. There seem to be a theme this year about "death" being a topic of interest. 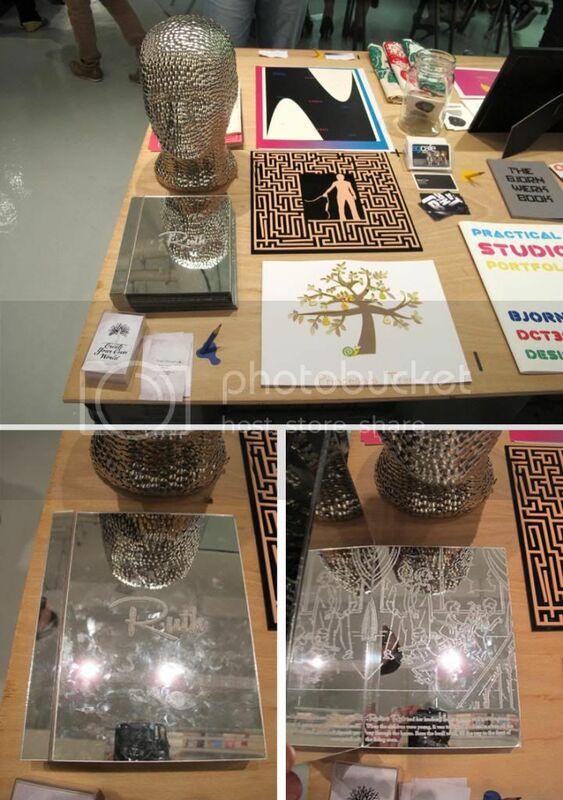 2 grad shows we went, both have something related to death. Which was interesting but if done wrongly, it can be very weird. thankfully, we have not come across any that has gave us the creeps yet. Oh! This project below, the 'Space Cope' truly was GENIUS! HAHA! It really great for certain Singaporeans! It was a project for people that do not like to share a space with other people, like taking up both bus seats, or not wanting to share the lift with strangers. He designed a poster that when holding it up against the lift door, it looks like there is a lot of people in the lift, hence no one will want or bother to squeeze in to the lift. Or a blown up doll, that can sit beside you in the bus? even though the doll do not look real, but maybe people will not want to sit beside you because you look crazy? Haha! Great work though. On leave(s), a craft movement was introduced in hope of getting more people to be more enthusiastic and be more involved in craft. Some above are how some of our daily objects being imbued with the craft movement. The designer also knitted her own plants. Chelonia, or another term for the tortoise, a project in wanting to revive the cultural importance of tortoise to the Chinese and draws the close connection of this creatures to us human and on we should protect and treat them in rightful manner, preserving them as well as our philosophy for the next generation to learn and understand about. Especially the tortoise, beside having deep significant meaning to the Chinese, they were mistreated for medical and for dining purposes. Another good booth was this B.R.A.G booth. a whole booth dedicated for bragging rights! why the hell not? if your family/friends/relatives has done something to be proud off, you would need to call in this service, and they will BRAG all about your success so everyone will know about it! Here's another design that might not be as practical as it seems to be. 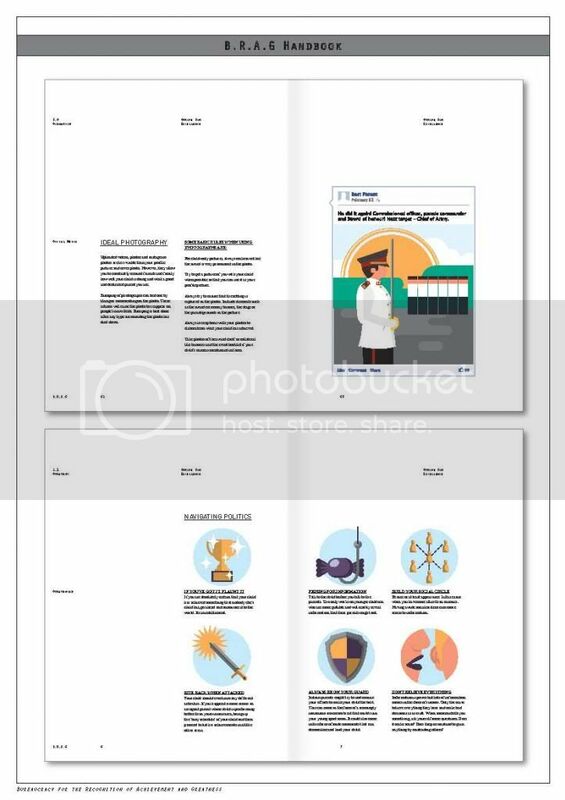 Looking at how this guy promotes his design, seems rather dangerous then it being a creative idea. Is it really a good idea to give another way for people to use electronics while crossing the street? the accident rate would go up if there was people crossing the street while typing on their laptops! Another design of his was a headband with a stylus for people to use their ipads while eating. this design have been created for people that have no hands, not for people who have their hands full with food. This booth actually did not seem to fit in the the exhibit. Mainly it was something to do with clothes. 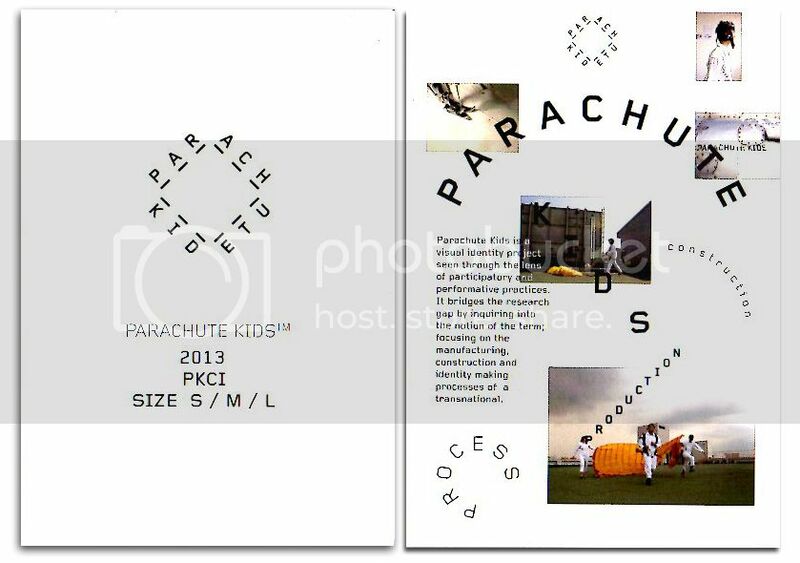 This designer, designed a quick wear parachute outfit using only 4 parts connecting it with only zips! but would it really be a design that helps people get dress faster, or would it take more time zipping up? We then walk over to an area where we are more familiar with, which was their Product Design area! the crowd here was even more intense, as it was where the food were placed. 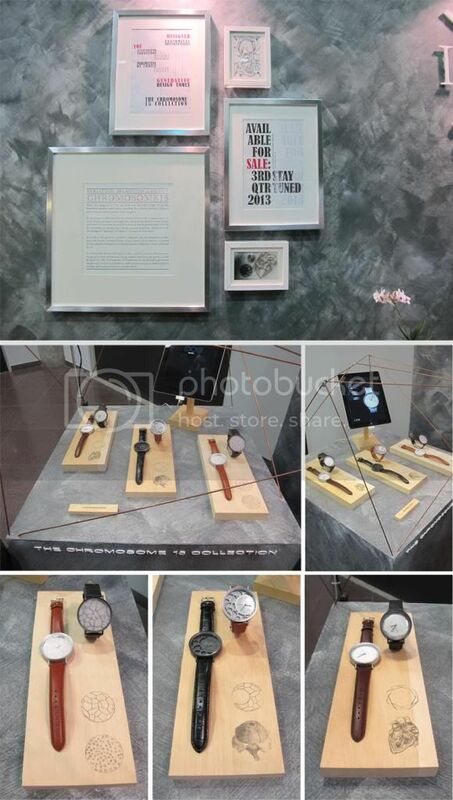 This set of watches talks about the relationship between consumers and brands, where the brands, styles and craftsmanship become the natural selection of the consumers. And for the role of the designer is to have their signature or essence imposed to their products. It based on the need and want of the customers and products are build to their specification. Thoughts: being designers ourselves we were impressed firstly by the works of this student as it was nicely articulate and nicely done. Secondly his concept was quite interesting and how he had expressed it. 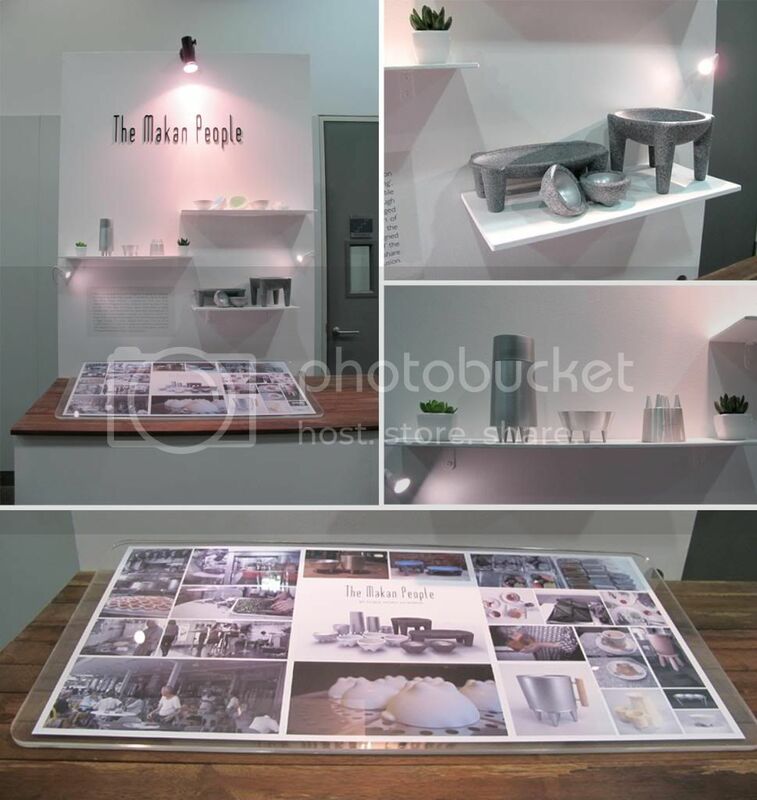 The Makan People, a contemporary visual and tactile interpretation of Singapore eating cultures and habits throughout the years. 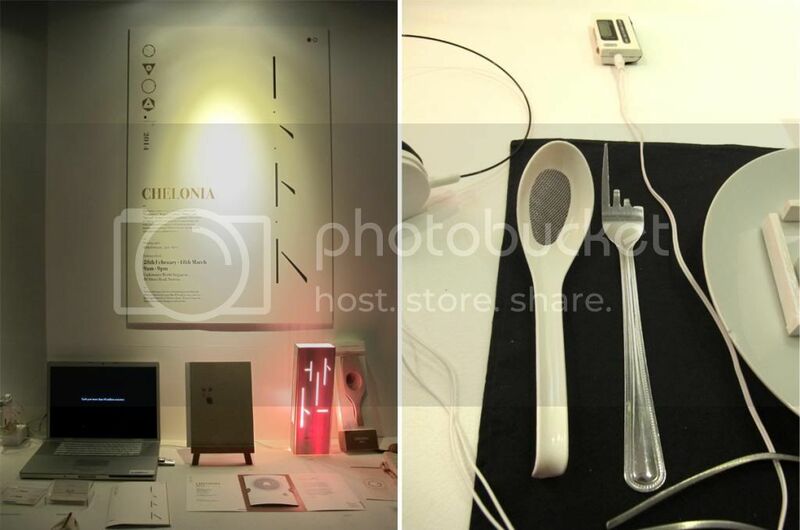 The products were build based on various local culinary practice translated into elements hinted in the design of the seemingly familiar objects. It was meant to trigger nostalgia and create significant memories in the use of the crockery pieces. A series that entails the relationships people share with Singapore's unique culinary cultures rich in both tradition and fusion. 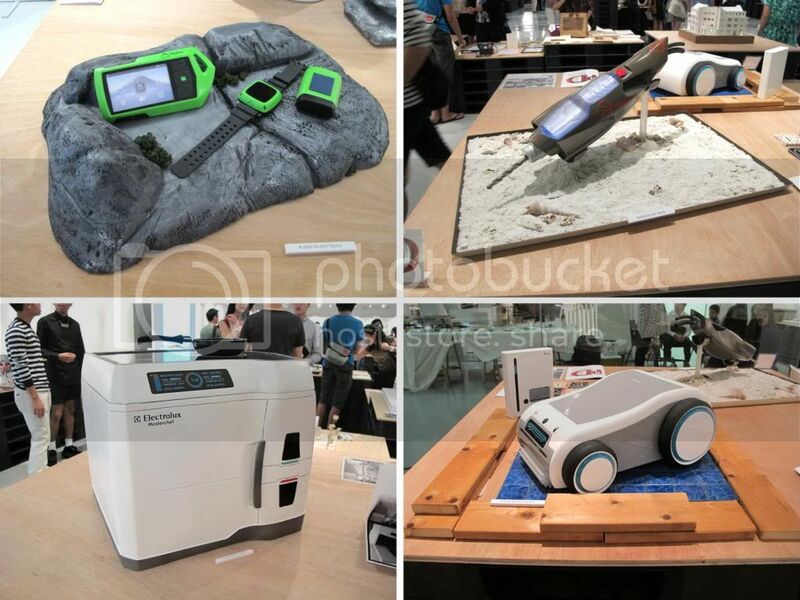 Thoughts: The finely finished work really caught our attention, it seems to be made with the actual materials but it actually turn out to be foam. The time spent on the finishing to make it perfect really paid off. Great job on it. Overall the graduation show felt grandeur, The works were nicely exhibited and curated, the works were meticulously finished and done up. 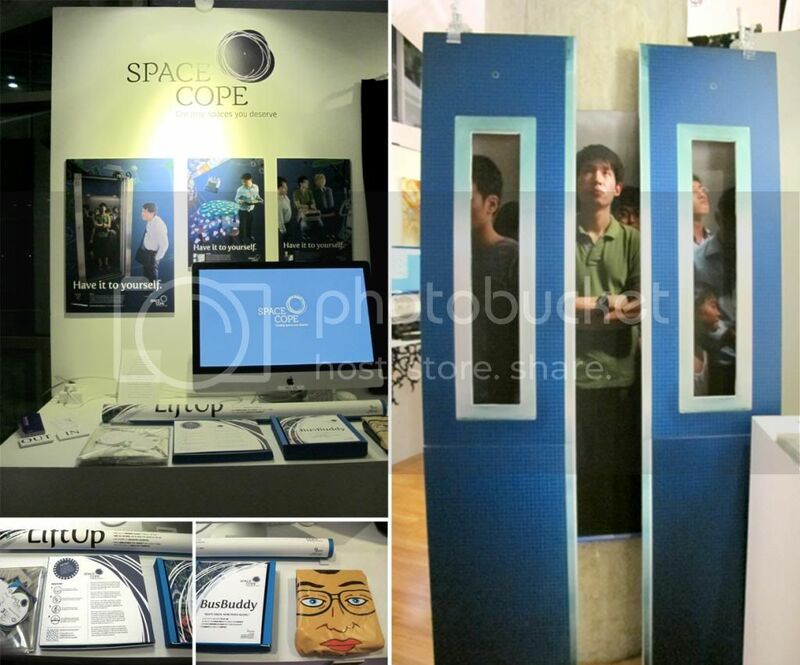 But sadly was, when we visited each booth and spend some time at it, no one came up to us and talk about their work. So we are truly sorry if we got the interpretation wrong for your work. All we see was name of the designers and their products. Also there were like not much information to help guide and facilitate the flow of human traffic.